Searching for Ganesh Chaturthi messages and Ganesh Chaturthi wishes are made easier with site. Since we’ve created a collection of messages for Ganesh Chaturthi festival and other holiday messages, you don’t have to go anywhere just to find the best happy Ganesh Chaturthi greetings. 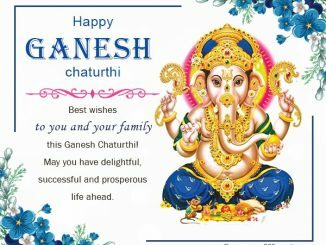 Moreover, those who don’t have time to send cards, we also include Ganesh Chaturthi SMS and Ganesh Chaturthi text messages that you can easily share and send.